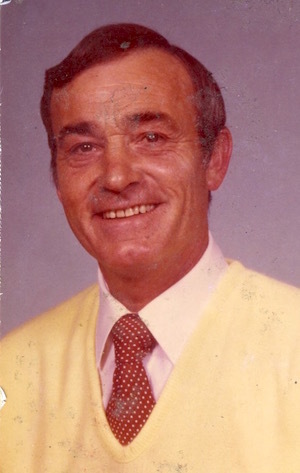 James W. McDaniel, 86, a resident of Mt. Vernon, Illinois, passed away Saturday, October 6, 2018 at the Mt. Vernon Health Care Center. He was born January 7, 1932 in Equality, IL to W. Loran and Juanita (Tolley) McDaniel. James served his country during the Korean Conflict in the United States Navy. During his naval service he participated in Operation Ivy, the first atomic test performed on Eniwetok Atoll in the Marshall Islands. He was a retired businessman having owned Jim’s Auto Sales in McLeansboro and Mt. Vernon. James was also a former member of McLeansboro BPOE #1882, the Green Hills Golf Course in Mt. Vernon and the McLeansboro First Baptist Church. James is survived by his wife, Joan McDaniel of Mt. Vernon, IL; son, J. Brent McDaniel; daughter-in-law, Cathleen McDaniel; three grandsons: Evan McDaniel of Chicago, IL, Mike McDaniel of Evansville, IL and Thomas McDaniel of Los Angeles, CA; two sisters, Connie (David) Meadow and Nancy McDaniel, and two sister-in-laws, Rose McDaniel and Mardell McDaniel. He was preceded in death by his parents, four brothers: Jerry, David, Ray and Curtis McDaniel and three sisters: Jean Richmond, Joann Flannigan and Betty Yess. Funeral services will be held Tuesday, October 9, 2018 at 2:00 p.m. at the Gholson Funeral Home in McLeansboro with Chaplain Ron Davis officiating. Visitation will be Tuesday, October 9 from 12:00 p.m. until the time of service at 2 p.m. at the Gholson Funeral Home in McLeansboro. He will be laid to rest in the IOOF Cemetery in McLeansboro with Graveside Military Honors performed by American Legion Post 106 and a Navy Honors Team.